Foto de stock - Flags. Salar de Uyuni (or Salar de Tunupa),the world's largest salt flat at 10,582 square kilometers ... . 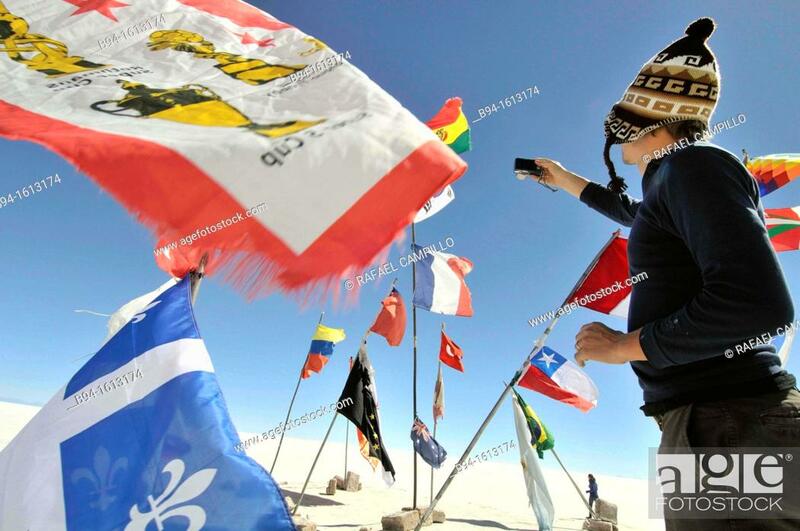 It is located in the Potosí and Oruro departments in southwest Bolivia, near the crest of the Andes, and is elevated 3,656 meters above the mean sea level. Bolivia.